Considering only 0.016 percent of the population in America lives to see their 100th birthday, there’s a reason centennial celebrations are a big deal. Having reached that milestone this year as an organization, American Welding Society now joins that illustrious group. CEO Matt Miller reflects on the past and talks about evolving and growing into the future. 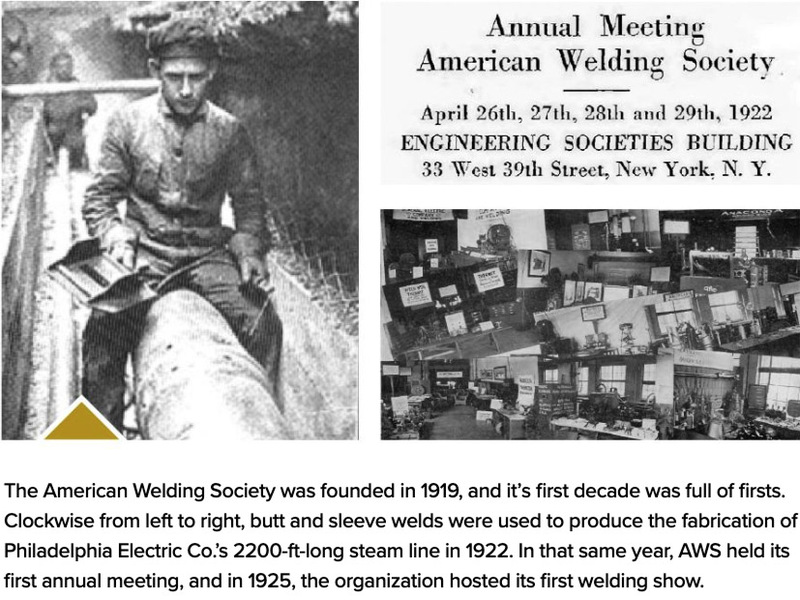 Dedicated to the advancement of welding and allied joining technologies since 1919, AWS was founded with the mission to help welding professionals protect and improve lives – in America and across the globe. “We deliver on our purpose by providing neutral forums through which people can network, share information and develop best practices,” Miller says. That collaborative group gets bigger by the day. One hundred years since its launch and AWS is proudly serving more than 70,000 members worldwide. The organization is composed of 22 districts with 250 sections and student chapters. AWS membership, Miller says, includes more than 12,000 students and 2,500-plus corporate members spanning a variety of industries, including manufacturing, construction, automotive, shipbuilding, aerospace and many more. Membership is also inclusive of more than 10,000 members outside of U.S. borders. Miller notes that AWS is dedicated to supporting hundreds of thousands of industry professionals, including welders, business leaders, sales and service teams, manufacturers, vendors, associations, educational institutions, committee volunteers and students. The organization’s reach is wide and its commitment is deep. In 1919, Woodrow Wilson was President of the United States, which had about one-third the population it has today. Albert Einstein’s theory of general relativity was confirmed in 1919, and the Ford Model T was arguably the most popular automobile that year. As for welding technology, the first stick electrodes had been produced only a few years prior. During World War I, there had been a considerable demand for welders to build military equipment for the war efforts. In fact, it was the 20 people overseeing welding for the war effort that came together to found AWS. 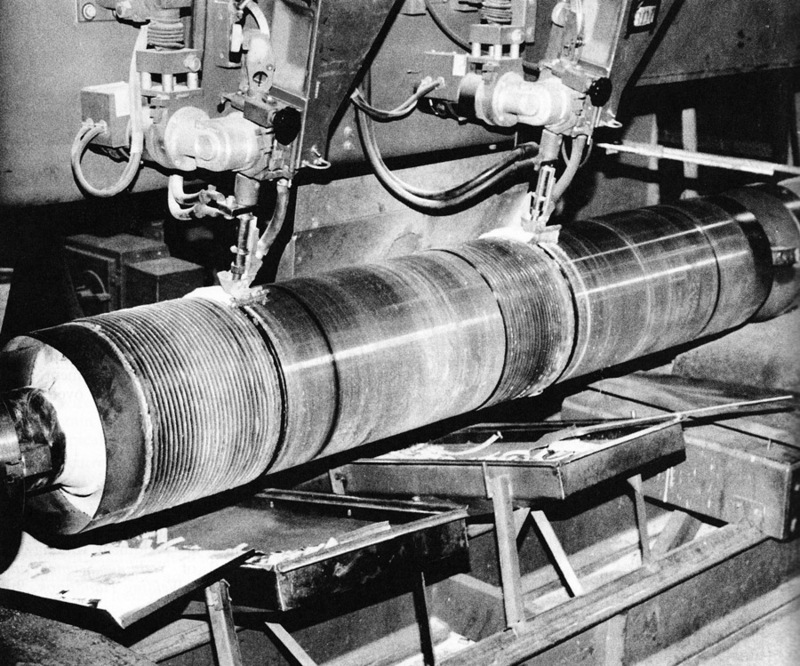 In 1935, submerged arc welding was developed and patented. Today, Miller says, AWS is the source for developing quality standards, codes, certifications and publications provided on behalf of the industry. “The difference between the landscape then and now is really a matter of how quickly information is shared and consumed,” he says. “Think about this: In 1919, dial telephones were just being introduced by the American Telephone and Telegraph Co. Contrast that to today where the average teenager has likely only ever seen a dial telephone in a museum. The first welding show was held in 1925 in Boston. Today, tens of thousands of people attend Fabtech shows each year, and it is North America’s largest metal forming, fabricating, welding and finishing event, which is a co-sponsored partnership effort between five leading industry associations, one of which is AWS. During the 1920s, the first AWS Education Committee was established, and education and training is still a key focus area where the organization delivers value for its many members. The first issue of the Journal of the American Welding Society, a precursor to the Welding Journal, was published in the early 1920s. The predecessor of the D1.1 Structural Welding Code was published in 1928, setting the stage for several additional codebooks and standards that followed. It is one of AWS’s most popular publications to date. The AWS Welding Handbook made its first appearance in 1938. Updates are frequent, the most recent of which was published this year. More recently, Miller points out that the establishment of the AWS Certified Welder Inspector (CWI) program in the 1970s was certainly a game changer for both AWS and welding professionals worldwide. By 1968, membership with the AWS had risen to 20,000. Today, there are more than 70,000 worldwide. “There have been so many other major milestones over the past 100 years,” he says, adding that the AWS website currently features a centennial timeline that offers more information on the organization’s key historical highlights. Miller describes the AWS of today as a multifaceted nonprofit organization with a mission to advance the science, technology and application of welding and allied joining and cutting processes worldwide. That includes brazing, soldering and thermal spraying. To continue evolving, Miller says AWS will continue to strive to ensure open and neutral platforms for creating standards, education and professional development solutions. The organization is also focused on improving the member experience by implementing technology investments and providing access to needed information. AWS is also conducting research to better understand the needs of the members as well as to provide forums for thought leadership, networking and the sharing of best practices. Miller says they are pursuing new programs and solutions to ensure the growth and development of the welding industry. In 1984, Soviet cosmonaut Svetlana Savitskaya became the first woman to spacewalk where over the course of more than three hours outside of the space station, she used a hand-held electron beam gun to cut and weld metal. 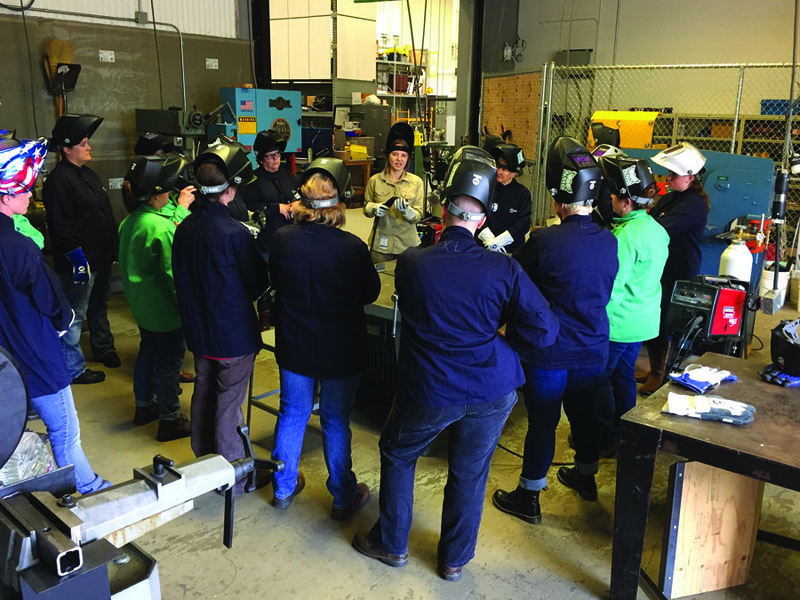 In April of each year, AWS members and constituents across the United States typically host open houses, meetings and other events to celebrate National Welding Month. This year, AWS is hosting a special centennial event at its Miami headquarters. The event occurs on April 10, which is the 100th day of the organization’s 100th year. The event will be open to the public and includes a field trip for local schools. Miller says hundreds of local students will have the opportunity to learn more about career opportunities in welding. They will also get a chance to try out AWS’s virtual welding trailer exhibit. 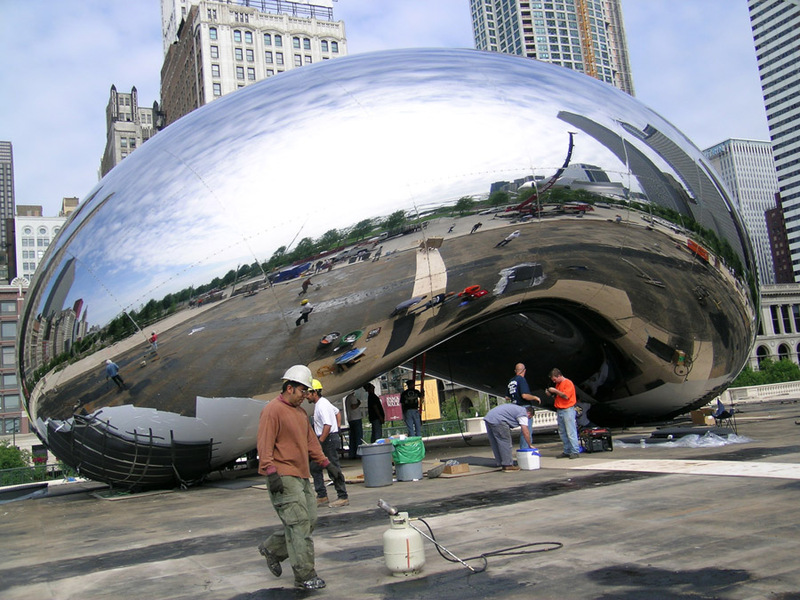 In 2007, AWS gave its Outstanding Achievement in Welding award to honor Cloud Gate, the mirror-polished sculpture also known as The Bean located in downtown Chicago. The stainless steel sculpture was designed by Amish Kapoor and fabricated by the Architectural and Ornamental Ironworkers Local 63. AWS will also recognize National Welding Month by encouraging nominations for the organization’s Excellence in Welding Awards. 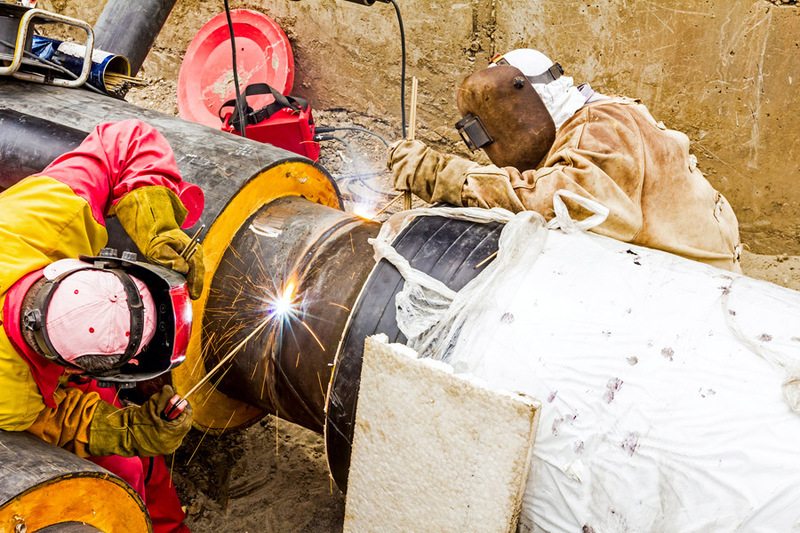 The awards are issued in nine categories to recognize individuals and organizations that have shown exemplary dedication to promoting the image of welding in their communities. To nominate a deserving individual or organization for an Excellence in Welding award, visit the AWS website. The entry deadline is June 30. To learn more about AWS membership, there’s a dedicated page on the AWS website for that, too. In 2018, AWS gave one of its Excellence in Welding awards to Samantha Farr, the founder of Women Who Weld a nonprofit that teaches women to weld and find employment in the industry.